Halo, bloggers ! This is the first time I post an article with english. Hope you enjoy this. Okay, today I just wanna share about the way to get money by internet. I was leave this way for a long time. Up to 3 years I think. But now I feel interest again about this way. Yap, this is the Pay Per Click or we generally know it as PPC. I guest you know as me as well about this. Ya, almost every bloggers know much about this. Especially for commercial bloggers. Right ! This site are very kind I think. Because they paid us as their member only to click their ads. Very very easy to get money, right. So, how about you ? Are you join this site now? Hope you share your experience about this. And for you that still confusing about this site. I will explain this in the next post. So, keep in read. HUahaa, Ikut yang mana aja OM ? 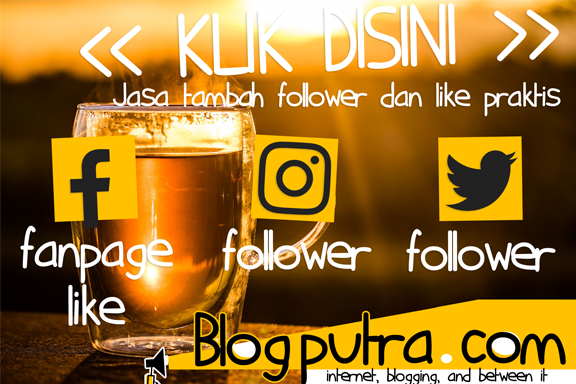 sy baru aja mau nyari tahu PPC, lagi nyari refrensi monetize blog, buat blog yg sy kelola. apa ada ya monetize blog tapi gak ngubah tema blog, gak bikin blog jadi gado2?